Third grade was the year everyone in elementary school chose instruments. I clearly remember watching Gloria Estefan & Miami Sound Machine on some random TV show, then turning to my parents and telling them I wanted to play the saxophone. Well, my mom had access to a clarinet and convinced me I needed learn the clarinet first in order to play a sax later. I don't think I realized how much I love the sound of a clarinet until last week when I had the chase to listen to Jack White's first solo album, Blunderbuss, on a decent pair of headphones. The opening bars of "Love Interruption" came on, and in all absolute honesty, when I realized he had actually worked a clarinet into his orchestration, I got a little misty. Blunderbuss is everything you want from a classic Stripes album, plus the unfiltered personality of Jack himself. I kind of think that despite how much he's always put himself out there, he still hasn't fully cut loose out of subconscious respect for Meg, random Raconteur/Dead Weather bandmates, or for that matter The Edge and Jimmy Page. 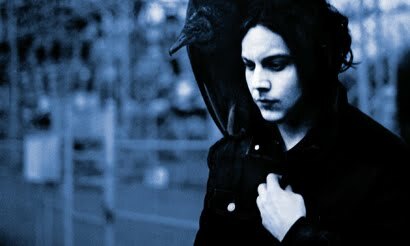 You take a track off Blunderbuss like "Sixteen Saltines" and you quick realize that there's still an untapped energy source buried deep within Jack White that's continuing to find its way to the surface in the form of pure, raw rock & roll.